Painting things she finds peaceful and beautiful, Marla Greenfield uses the transparency and luminosity of watercolors to depict the beauty of light in her work. An award winning watercolor artist and instructor, she is a signature member of the American Watercolor society, a past president and vice president of the New England Watercolor Society and a former member of its board. She has been featured in American Artist Watercolor Magazine, with her work chosen for the cover. 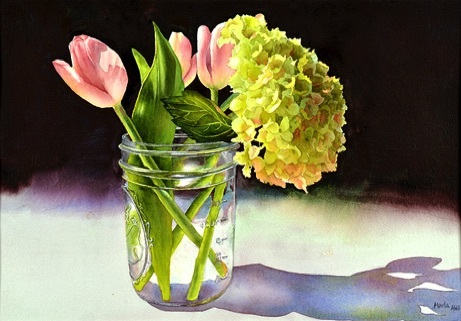 Marla teaches watercolor classes and has conducted numerous workshops throughout New England.